So, I’m still not flexible. Never have been. But that’s not what yoga is. It has nothing to do with flexibility and everything to do with “real life.” Before I had kids, I loved taking first dates to a hot yoga class or my spin class. My reason was that I spend most of my days and time in workout gear so that’s the “real me.” The showered, makeup, cute shoes version of me is like a limited edition. Funny how things change. I still do my hot yoga and spin classes but don’t usually take dates there. I’m hustling to the gym with my three little people in tow. I’m a single mom of three little kids and have very little time to frolic around with someone else’s schedule. I don’t do hot yoga because I want to or feel like it. I NEVER FEEL LIKE DOING HOT YOGA. I do hot yoga because it makes me a better mom and person. Hot yoga is like church to me. It makes me a better woman, person, sister, daughter, neighbor, friend and flight attendant. Plus it makes my body purr. Here are a couple of my favorite yoga teachers. Striking a pose with the amazing Roger Yoga Teacher. My girl Isabel killing it with her Genuine “Pony” songs and HUMBLE. Yep, One of the many reasons I love her. If you’ve been “thinking” about trying yoga (hot or not) DO IT! Do it for yourself and your family. Everyone benefits when mom gets her hot yoga in! 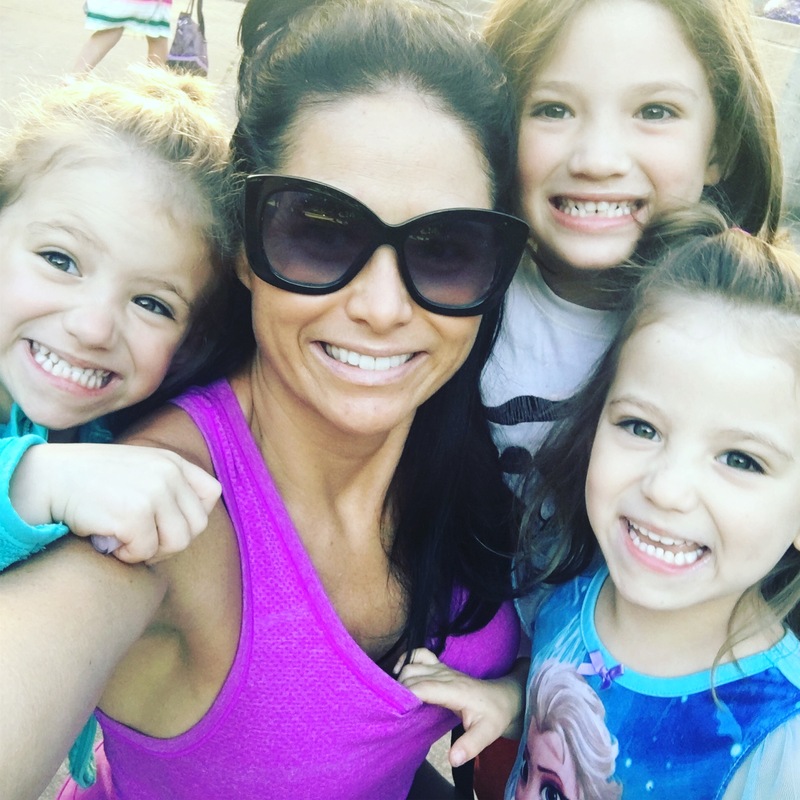 This entry was posted in Campmommy, My New Normal, This is 40, Twins and tagged hotyoga, momlife, momof3, pdx, portland, thisislove, twinmom, yoga, yogalove, yogalover on September 29, 2017 by babymama3pdx. Do you remember the Endless Summer movie? Me too. I’m having a little bit of that except mine is ensconced with 3 year old twins and a 6 year old little boy! Kai started first grade and is nailing it. Blaize and Pepper officially start part time preschool in 2 weeks and it’s gunna be something.. Recently, I caught up with a friend who reminded me that stretching ourselves in life, fitness and work is a gift. I believe this whole heartedly but loved being gently reminded. Yes, #campmommy is stretched as we choose a new, exciting activity/adventure every single day-deep into September. Yes, #campmommy is ready for bed at 8pm. Yes, I am one lucky mama every. single. day. This entry was posted in My New Normal, This is 40, Twins on September 20, 2016 by babymama3pdx. Funny how life works, I’m back where I started. I moved to Portland in 2004 from Santa Monica, CA to buy a house before I turned 30 years old. My plan was to buy a house, rent it out and keep exploring and traveling. Surprisingly, I ended up loving Portland (like everyone else) and decided to stay. I started in NW Portland at the base of Lower Mckleay park almost 12 years ago. I loved the area and felt like it was a great landing pad to “experience” Portland. I lived in Northeast Portland in my 30’s and recently relocated to the Pearl. I always thought it would be fun to live in the Pearl and enjoy the city. And here I am living in the Pearl with my 3 babydolls and enjoying the city every single day. The Pearl is shockingly kid friendly with a great playground (Field’s Park), water fountain park (Jameson Square) and even an off leash dog park. Life is good and one surprise after another! Taking a photo break after running laps around Field’s Park in the Pearl. This entry was posted in My New Normal, This is 40 on February 29, 2016 by babymama3pdx. Faster, harder, longer is what a friend of mine reminded me that it takes to get fit post babies. Yes, of course! I know that but forgot for a hot minute while I complained about my soft mom bod. Maybe you’re rocking your hot mom bod which is great for you! But, if you’re like the rest of us, there’s always a few things we’d like to improve or tweak on our bodies. For me, I wanted to feel better in my work skirt. Nothing measures better than my flight attendant uniform at 35,000 feet where the air is thin and dry and the body is thirsty and bloated. Sure, I eat fairly healthy and gave up the sweet treats last year. It takes more than that to keep it high and tight though especially if you’re 40 or older. So, I added a few things while I really focused on the “faster, harder, longer” mantra during workouts. My usual 30 minute cardio session wasn’t getting the job done, so I increased my minimum cardio to 45 or 60min whenever possible. It’s going pretty good, I’m down 10lbs from last year and planning on losing a few more. 1. Drink a ton of water everyday! Find healthy, yummy food that you love to eat. 3. Sweat and breathe deep every single day. My kids and I talk about eating healthy, working out and practicing yoga all the time. The sweetest words are when my 3 year old twins say “mommy has to workout and take care of herself so she can take care of us.” Butterfly, happy mama moment when I hear these words. This entry was posted in My New Normal, This is 40, Twins and tagged Babymama, Twins on January 27, 2016 by babymama3pdx.